Lately, my lust for gadgets has been going utterly crazy. In other words, I want one of those nifty netbooks. In case you’re not aware, a netbook is a very small laptop (think a nine inch screen or so) that focuses on efficient energy use rather than power. For the most part, these devices are mostly just designed to run a web browser and an email program very well – they’re intended to be small enough to fit in a purse or even in a pocket, but enable you to do email and/or browse the web anywhere you can get a Wi-Fi signal (or, in the event you have mobile broadband, pretty much anywhere). Since I have a nice desktop machine in my office and I can do quick web browsing and reading of email on my iPod Touch (a wonderful Christmas gift, I must say), a netbook isn’t really a need at all. It would just be convenient, enabling to do some things out of the house that I couldn’t otherwise do. At the same time, I had an old laptop in my closet. It’s several years old and it really struggles running Windows Vista – I had thought about downgrading it to Windows XP, but I never really bothered because of another problem. The laptop’s battery was completely shot. It would last roughly thirty seconds on battery before simply powering down abruptly. What I would like to have is a device with a few hours of battery life that starts up quickly and allows me to check my email and a few key sites on the road. Most of all, I’d like to find the cheapest route to get from what I have to where I want to be. So I put on my frugal thinking cap and got to work. The first step was to solve the power issue – and the way to solve that was to find a new battery for the laptop. 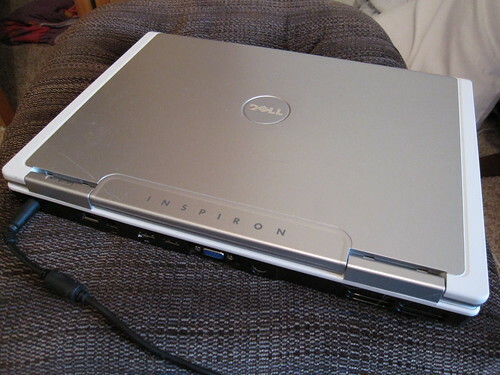 A replacement battery from Dell costs $140 – ouch. Luckily, laptop batteries are a perfect item to shop around for online, as many different vendors sell laptop batteries at widely varying prices. A minute worth of Google searching found a compatible battery for $56.88 and talking to a few parts vendors on eBay by email found another one for $50 including shipping. When you need parts, ask around. Replacing the battery is trivial – simply unlock the old one, pop it out, and pop in the new one. Most reasonably new laptops follow the same procedure – incredibly easy. This leaves me with the second problem – how can I make this old laptop do the things I want with any degree of speediness? I started up the laptop and it took six and a half minutes from hitting the power button until I was ready to actually do anything. The easiest option would be to just downgrade the laptop to an earlier version of Windows, but this requires me to have a copy of an earlier version of Windows easily available. Also, older versions of Windows eventually stop being supported with updates, making them a security risk. Instead, I went in a different direction for a solution. 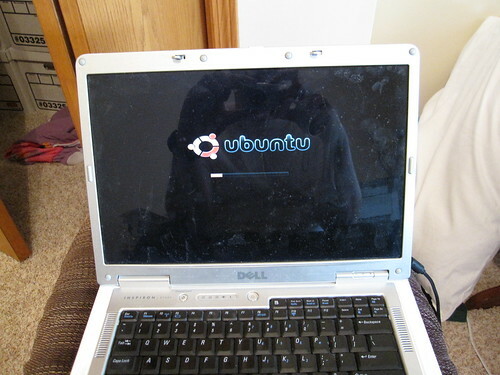 I simply wiped the entire hard drive on the old laptop and installed Ubuntu on it. Ubuntu is a very user-friendly flavor of Linux that is arguably easier to install than Windows and runs very well on older hardware (not ancient hardware, just older hardware). All I had to do was burn an Ubuntu CD on my desktop machine, install it on the laptop, plug in my network cable on the laptop, and have Ubuntu update itself to all of the latest software and drivers. Boom – everything works like a charm, from the sound to the wireless. It took me about two hours, all told, and most of that time was simply waiting, meaning I walked away and did other things while things got set up. Best of all, every single significant feature I wanted for my netbook is present here: quick to start up, simple web browsing and email access, the ability to do some writing and a bit of number crunching in a pinch – it’s all right there. My total cost for all of this was about $60. You’re probably wondering how this is useful to you at all. It’s simple – you can basically do the same exact thing if you just want a simple laptop for checking email and surfing the web. For those tasks, you can easily get away with an older laptop. So how do you get an older laptop? The easiest way is to simply ask around in your community. If you have a local computer store, stop in and see what they have that’s older (by older, I would recommend a laptop that’s not more than five or six years old and has wireless capability). You can also do some shopping online, but shopping for used computer hardware online is definitely a caveat emptor process. My recommended method, though, would be to ask around your social network and see if anyone has an older laptop that they’re not using that they’d be willing to sell for cheap or trade. Start with anyone you know who has used a laptop over the last few years. You’ll be surprised how many people have old computer equipment that they’re happy to offload for a pittance. You’ll probably need to find a new battery for that laptop, so before you invest much money, find out the model number and make sure you can get a battery online for it. Once you have those pieces, though, it’s usually quite easy to replace the battery and install Ubuntu on it, and once you have that, you have a wonderfully functional laptop that’s perfect for checking email and surfing the web – and it won’t cost you too much at all. Look for refurbished laptops. Plenty of electronics stores offer refurbished computers from prior years, and that includes online retailers like Amazon.com and newegg.com. But you can also buy refurbished pieces at traditional electronics stores like Best Buy. Make sure to stop in your local store and check online inventory to find the best deal. Consider a “scratch and dent” model. Some stores like Best Buy offer “scratch and dent” computers at a steep discount. Most of these laptops were purchased and returned before, meaining they come in an open box. That doesn’t mean there’s anything wrong with them, and they can provide a good value if your laptop needs are modest. If you don’t need a fancy computer, make sure to think outside the box before you splurge. If you’re tech-savvy, you could always try upgrading an old laptop you already have. If you don’t have the time or the skill to work on your own laptop, you can also consider buying a used or refurbished model elsewhere. With plenty of used laptops in perfectly good condition, you should be able to find a bargain in no time.